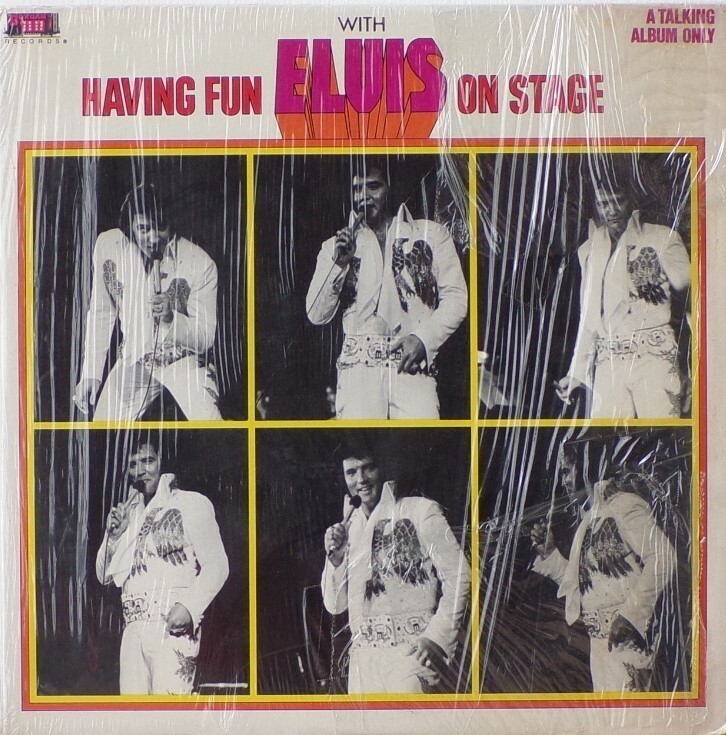 Having Fun with Elvis on Stage is a 1974 live album by Elvis Presley. 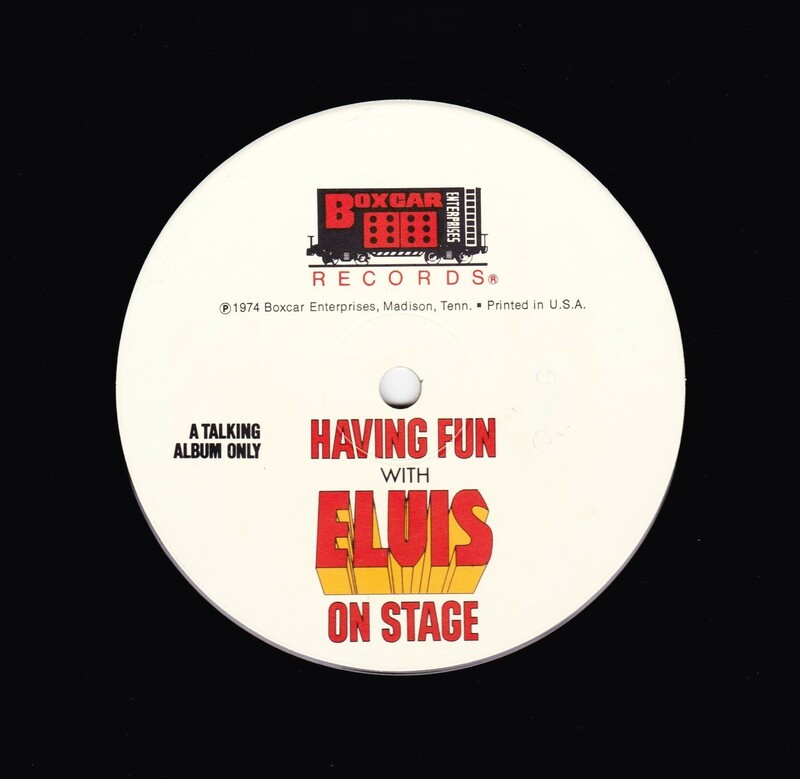 ​The album is unique among Elvis' recordings as it does not contain any actual songs: it consists entirely of byplay recorded between numbers, although Elvis is frequently heard humming or singing "Well...", which during the actual performances led into songs that have been edited out of this recording. Much of the album consists of Elvis making jokes, with the material spliced in a manner that has been described as lacking continuity and nearly devoid of comprehensibility, let alone humor. ​Ostensibly, the album came to be as a ploy by Colonel Tom Parker, Presley's manager, to release an album that RCA Records would own no rights on. Parker initially released the album on his own label, Box Car Records, and it was initially sold only at Presley's concerts. 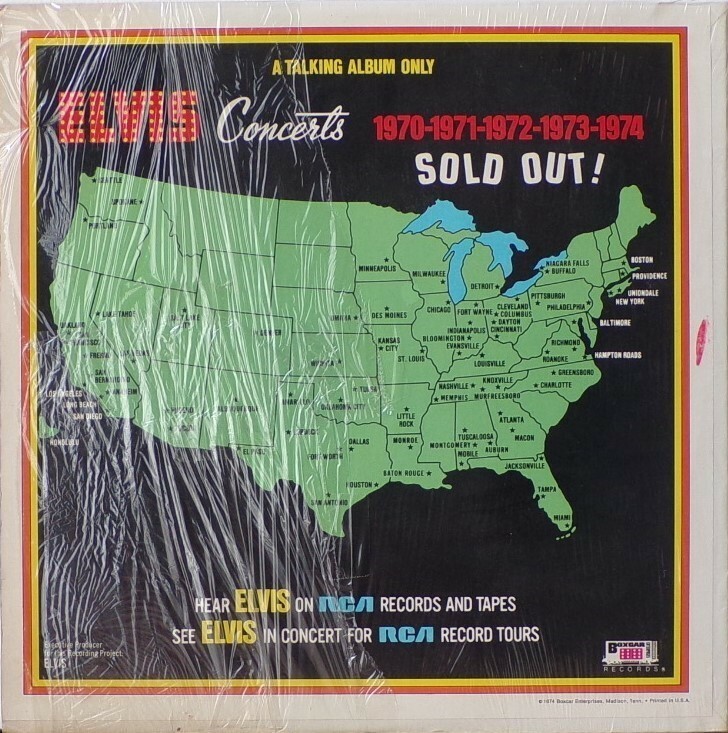 The album was later packaged and marketed by RCA as a legitimate concert album, with the only warning for the buyer being the subtitle "A Talking Album Only" on the cover. Presley is credited on the back sleeve as the album's executive producer. 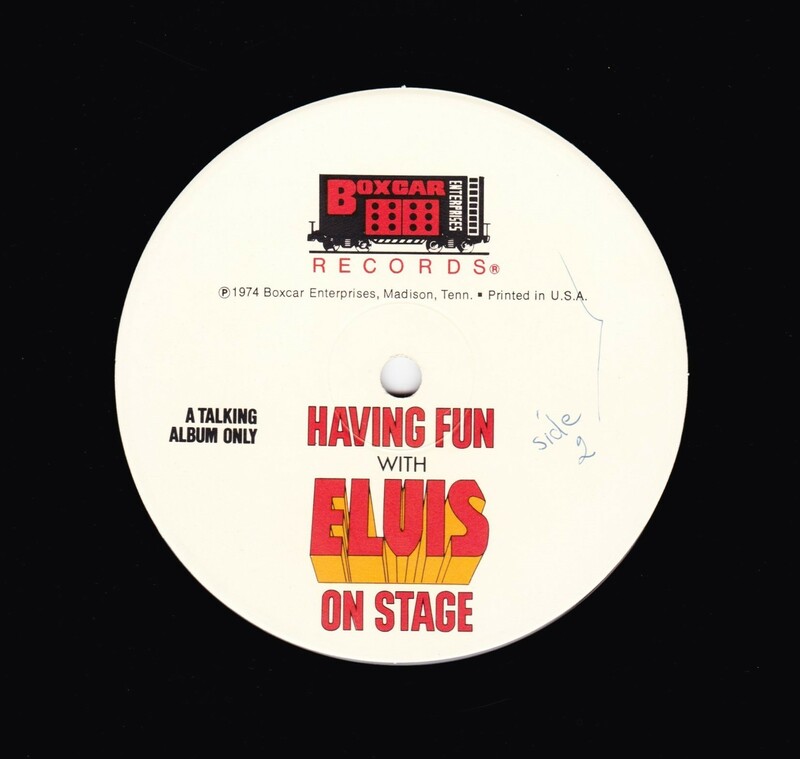 Having Fun with Elvis on Stage has been described as the worst album of Elvis's career. A review by Allmusic likened it to "an auto wreck that somehow plowed into a carnival freak show." Rock critics Jimmy Guterman and Owen O'Donnell, writing in their 1991 book The Worst Rock and Roll Records of All Time, named it the worst rock album ever, although one could easily note the lack of "rock and roll" in the record. Although Presley spends most of the album exchanging jokes with audience members and his band, near the end of side one he is captured speaking autobiographically about his early life and his career aspirations before becoming a singer. The album managed to make it up to #130 on the Billboard album charts, and even as high as #9 on the Billboard Top Country Albums chart. This was not the first release by RCA of spoken word material by Elvis. In March 1959, the label released Elvis Sails (EPA 4325), a three-track EP consisting of interview recordings made before his departure for Germany with the US Army. By all accounts, Presley was infuriated when RCA put this album into the general marketplace, considering it a tremendous embarrassment. As a result, the album was quietly deleted sometime in 1975 but reissued for a few years following his death. Since the late 1990s, fans have put together several pirate "sequel" discs. The original album remains unavailable on CD, but has been reissued as a series of three 10" records. Front Cover : 6 Photos of Elvis. Title at top. No catalogue number. ​​Rear Cover : No catalogue number. Map of American cities were Elvis performed. Printed in U.S.A. bottom right. Side 1 Boxcar Records at top. Side 2 Boxcar Records at top. *NOTE* A talking only album. This was Col Tom Parkers own label. Permission was given to him by RCA to release it and it was sold at Elvis concerts. There was no catalogue number with this issue. Bottom right rear corner "1974 Boxcar Enterprises, Madison, Tenn. Printed in U.S.A.".